Give us a call at: (321) 253-0424 and put our years of campaign experience to work for you. 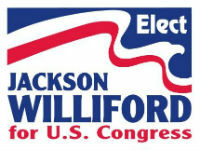 We will help you design and select the best campaign sign for your election and provide a free quote. Corrugated Coroplast (Coroplastic) Plastic Signs. For 18x24 Quantity of 1000, only $1.81 each for 2 sides Sharp Prices, we have competitive Internet prices. For quantities of 5,000 or more, call us at (321) 253-0424. Beware of cheap quality Chinese made wire stands. Recently America has been flooded with cheap substandard wire stands from China. The quality is inferior and the wire stands easily break. Before you place your order for wire stands anywhere, insist on getting high quality American made wire stands or frames. We CARRY ONLY American made wire stands and frames!